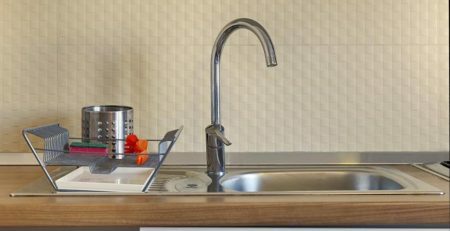 Have you found the perfect kitchen sink to match the overall style and vibe of your home design? Well, now that the most crucial decision is out of the way, let’s move on to the next essential step: where do you place the sink? For an efficient performance and well-planned layout, effective sink location is necessary. Not only does it improve the overall aesthetics of the space, but it also helps in utilizing space. 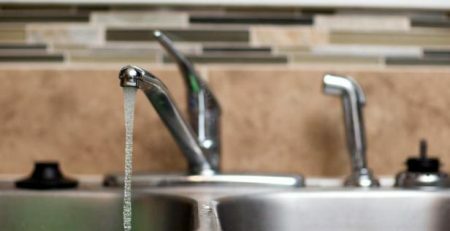 If you’re wondering where to place your kitchen sink, we’ve got a list of possible locations! Take a look and decide according to your kitchen space and architectural design. Want to save costs on construction and renovation? Use existing plumbing in the kitchen to place your sinks. The location of the sink is directly related to the location of plumbing pipes and the drainage system of the house. 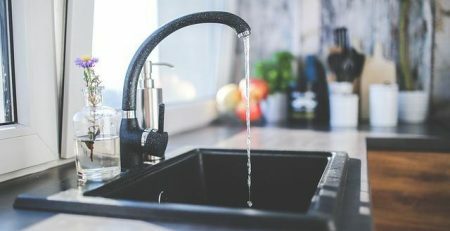 Considering the high costs associated with moving the plumbing and installing new water and drainage pipelines, it’s better to place the kitchen sink where it was meant to be. 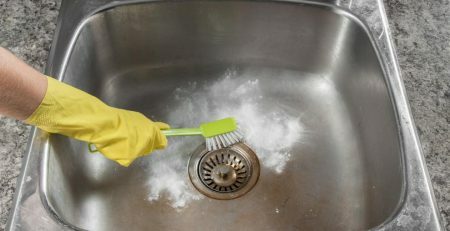 Whether it’s near a window or at the corner of the kitchen countertop, as long it doesn’t cause a hassle with dishwashing; don’t move the existing plumbing design. 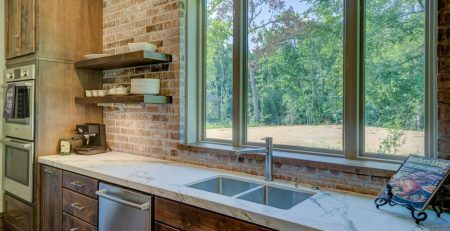 If you’re given the choice to choose the location of your kitchen sink, give yourself a view to enjoy while washing dishes. Whether it’s a view of the front garden, the back patio or the living room, place your kitchen sink near a window or facing the adjoining room. Open the window for a fresh breeze and wash the dishes with the natural light trickling in through the large bay window! 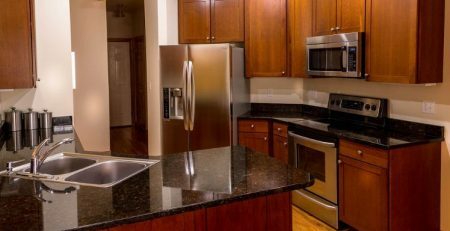 What Appliances Does It Need To Be Near? 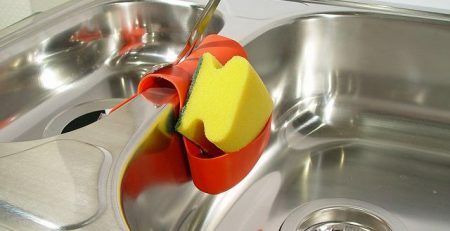 While the sink is an essential part of a well-functioning kitchen, it also needs to work with other kitchen appliances! Ideally, kitchen sinks need to be placed near the dishwasher so that you can rinse the dishes and place them in the dishwasher. Moreover, a well-placed dustbin and compost box near the kitchen sink can help in recycling food waste and making natural fertilizers for the garden. Forgo the traditional kitchen sink near the backsplash wall and instead, install the sink on the island countertop in the middle of the room. 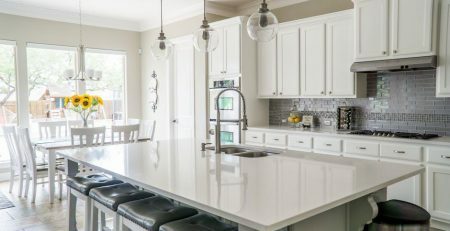 It looks not only aesthetically pleasing, but it’s also a practical solution to use the island as a prep table to cut and wash fruits and vegetables. Complementing contemporary interiors and different home décor styles, stainless steel sinks are a popular and widely used kitchen addition. 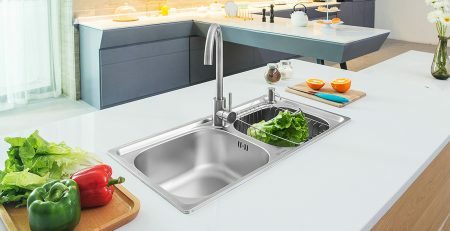 As one of the most established manufacturers of stainless steel sink in China, CreaVe has a wide range of stainless steel sinks in varying sizes, designs and color. Whether you prefer a top mount single basin sink or a top mount double bowl kitchen sink, our collection has something for everyone! For more information on durable and hardwearing stainless steel sinks, contact us at +86 760 8863 5810 or email at sales@creavesolution.com.